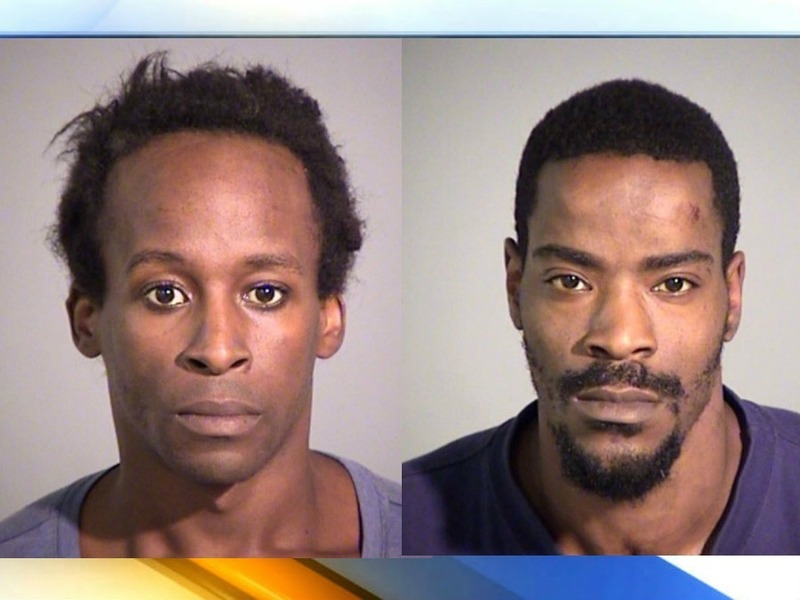 INDIANAPOLIS -- Two people who were in the car that struck an off-duty Southport police officer at Methodist Hospital on Indianapolis' north side Wednesday morning are in custody. The incident happened just before 11 a.m. in the hospital parking lot on W. 16th Street. Indianapolis Metropolitan Police Department officers on the scene said Southport officer was working off-duty security at Methodist Hospital when he was called to the parking lot in reference to a possible robbery suspect. As the officer approached the vehicle it sped away, striking him. The officer fired at least one shot at the car, hitting the windshield as it drove away. The officer was rushed into the hospital with non-life threatening injuries to his legs and hips. The car was later spotted near 46th Street and Arlington Avenue when it struck a tree. Both suspects inside the car ran. 46th Street and Arlington Avenue when it struck a tree. Both suspects inside the car ran. One of the suspects was hit by a car while trying to run across Arlington Avenue. He was taken to the hospital with non-life threatening injuries. The other suspect led police and K9 officers on a foot chase but was eventually taken into custody. That person was taken to the hospital to be treated for a dog bite. The two suspects have been identified as Christopher Johnson, 29, and Brandon Hayworth, 33. Both were arrested for outstanding, unrelated warrants. Charges in connection with the incident will be determined by the Marion County Prosecutor's Office. The Southport officer has not been identified but is a 4-year veteran with the Southport Police Department. Southport Police Chief Thomas Vaughn said the officer is now home recovering from the incident. The shooting comes on the same day that the suspect in the shooting death of Southport Lt. Aaron Allan appeared in court. Lt. Allan was shot multiple times while attempting to render aide to a crash victim in Homecroft late last month. He died at the hospital. Lt. Allan was laid to rest over the weekend at Crown Hill Cemetery.